Today, I am going to share with you a method of how to receive blessings by using Qi Men Dun Jia on the first day of Chinese New year. In my classes, I shared with participants that the power of Qi Men Dun Jia lies in the fact that it possesses the ability to predict for you at certain specific timing, which is the best direction to approach your subject matter so that you resonate with the positive energy field to gain an upper hand. 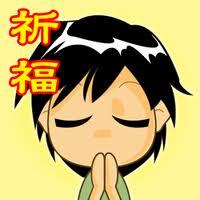 Besides the time and spatial dimensions, Qi Men Dun Jia also talks about “help from Divine” 神助. Fa Qi Men practitioners perform their rituals in accordance to the presence of various types of 8 Deities. From a non-spiritual point of view, these are bodies of energy that are an intergral part of Qi Men Dun Jia calculations. Due to our religious belief or customs, some of us visit the temple on the first day of Chinese New Year to pray and wish for luck and blessings. If we could couple this with Qi Men Dun Jia Luck Ushering method, it will certainly enhance the blessings showered on us by our god and begin our year with an auspicious headstart. 1. first find out the nearest temple that is located in your house’s Northeast direction. You can use google map to help. Why I choose this direction is because of the presence of very auspicious energies. Qi and Men are both presence 奇门到向. Open door is regarded as one of the best doors to have. It signifies a great beginning. The horse hour is also a 6-combo hour. 2. On 10 Feb, between 11 am to 12 pm, you can step out of your house and walk towards the temple. If it is not within walking distance, and you need to travel by car, it is perfectly fine even if the car needs to detour before arriving at the destination. The most important thing is that the temple must be in your northeast direction. 3. When you reach your destination, it is advisable that you enter the temple whereby the temple is in your northeast direction. You can bring a small compass or utilise the compass in your smartphone to check the direction. 4. Step into the temple and commence your prayer. Sincerely wish for what you hope to achieve in the new year. 1. A person wearing green. 2. A Lady and a dog. 3. Old man walking with a stick. 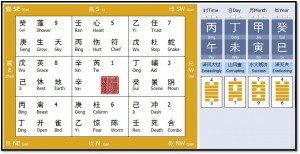 These are signs from heaven that implies that you are resonating well with the qi men dun jia energies 真气克应. No harm trying it out.